I spent a lot of happy hours in the kitchen of Los Angeles based celebrity hairstylist Robert Hallowell. He shared lots of great hair recipes with me. During one of my visits he told me how to treat dry hair with a Chamomile Mask. Robert told me the Chamomile Mask hair recipe would help get my dry scalp and strands ready for Summer. I warned him I didn’t have a lot off patience for complicated formulas and he promised me his mask was very easy to do. Chamomile Mask – Will It Lighten Hair? He also explained the chamomile can add a hint of brightness to naturally blonde or highlighted tresses like mine. Although it can add shimmer and shine, chamomile can’t provide enough powerful lift to add blonde hues to brunette or dark red shades. Bridget Fonda, one of Robert’s long time celebrity clients loved his treatment for her light colored tresses. It’s no surprise Robert’s many celebrity clients including Lucy Liu, Courteney Cox, Mary Louise Parker and Sarah Jessica Parker nicknamed Robert “The Kitchen Beautician. 1. Boil 1 cup of water until boiling. 2. Immediately turn off boiler. 3. Add the 6 organic chamomile tea bags. 4. Let them steep for 20 minutes. 6. Add yogurt and lavender essential to the water. 8. Set mask aside while you prep hair for application. 1. Completely detangle hair with a wide tooth comb. 2. Wash hair in lukewarm water with a diluted formulation of shampoo and water. 3. 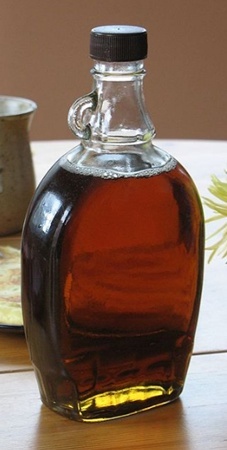 Create the formula by adding 1 teaspoon of shampoo to 1 quart of lukewarm water in a clean plastic bottle. 4. Shake it to create a foam. 5. Get hair completely wet with lukewarm water. 6. Apply the suds from the shampoo formulation. 7. Drizzle the formulation along the roots. 8. Pat the suds down the length of your hair. 9. Rinse well. Finish with a lukewarm water rinse. 10. Towel blot and use fingers to remove excess water. Once you’ve cleansed your hair and all the excess water has been removed, apply the Chamomile Mask. Use your fingers to apply the chamomile formula from the roots down to the ends. 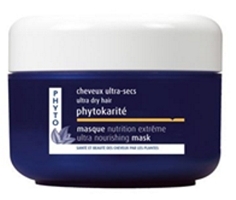 Make sure to focus the mask to the most dry parts of your scalp and hair. Apply plastic wrap and/or shower cap. Allow formula to remain on the hair for 20 minutes. Rinse well with lukewarm water. Apply a little bit more of the shampoo foam. Rinse well with lukewarm water and finish with a cool/cold water rinse. Towel blot, apply appropriate rinse out conditioner or leave-in conditioner and styling products. 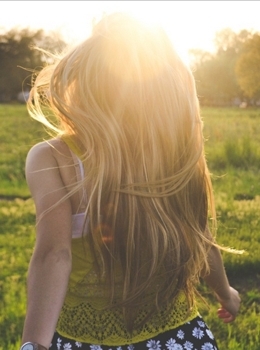 After you have completed the Chamomile Mask treatment, consider letting your hair air dry. Remember, heat drying can undo some of benefits of the chamomile treatment. Remember that this treatment can be used to alleviate dry scalp and strands. It can be used 2 times a week for dry scalp and strands or 4 times a week to add shimmer and shine. Store any leftover treatment in a clean glass jar and refrigerate. Double or triple the recipe for long or very long hair. 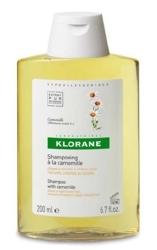 Keep applying the Chamomile Mask as long as your hair continues to respond to the treatment. This blog is dedicated to Robert Hallowell who is an amazing hairstylist. If you would like to contact Robert to make an appointment please call him in LA at 213-925-4035 or 323-221-6779. Besides being amazing with home hair remedies, he specializes in naturally texture hair, extensions and hair color. Please tell Robert I sent you and blow him a few air kisses from me. This entry was posted on Tuesday, April 22nd, 2014 at 8:49 pm	and is filed under Hair. You can follow any responses to this entry through the RSS 2.0 feed. Both comments and pings are currently closed.